One of the best ways to be frugal in the kitchen is to make your own foods. Don't use all of the prepackaged products available all over the grocery store. Just walking down the baking aisle will show you dozens of options for muffins and quick breads. On the bottom shelves, you will find the sugar and flour and things that you will need to make your own. Initially purchasing these ingredients will cost more than a box of muffin mix; however, you will be able to make dozens of muffins out of these ingredients. It should be well worth the money. I have a basic muffins/quick bread recipe that I add different flavors to. It is very adaptable and easy to use. But first I will give you the true recipe. In a small bowl, beat the egg, milk, and oil. Pour into the dry ingredients and stir just until moistened. At this point, you will add in your flavors. Our favorite is chocolate chips, and I purchase them in bulk at Sam's club. 1/2 cup of chocolate chips stirred in at the end makes for some really great muffins. 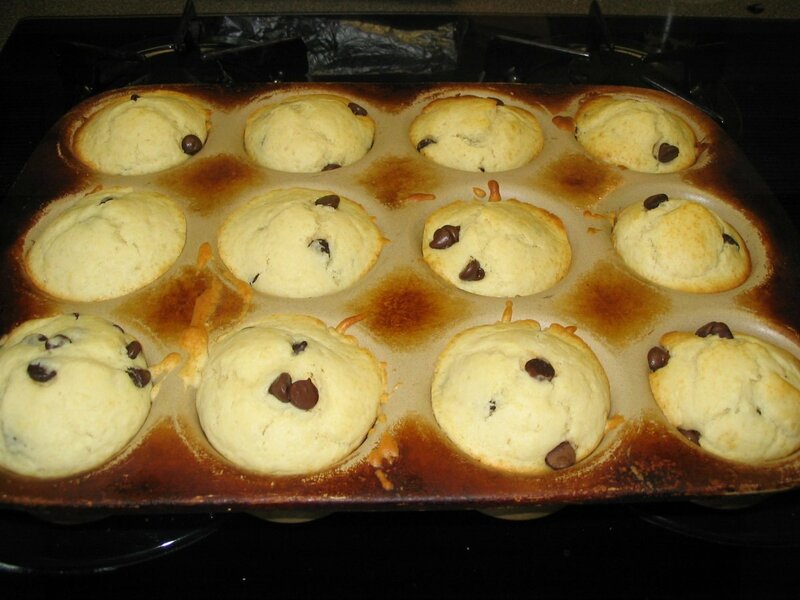 Fill greased or paper-lined muffin cups three-fourths full and bake at 400 for 18-20 minutes. This makes one dozen muffins. You can also adapt this for a quick bread. Pour all the batter into a greased loaf pan and bake at 400 for 45-50 minutes. Blueberry Muffins: I add 3/4 cup of blueberries and 1 tablespoon of lemon juice at the end of the recipe. You can also add some lemon zest if you would like. Another good option is cinnamon raisin muffins. At the end of the recipe add 1/2 cup of raisins and 1 teaspoon of cinnamon. I frequently use original flavored rice milk in place of milk. I have also substituted 4 oz of applesauce for the egg. ( I have a child with food allergies). I usually don't use only all purpose flour. 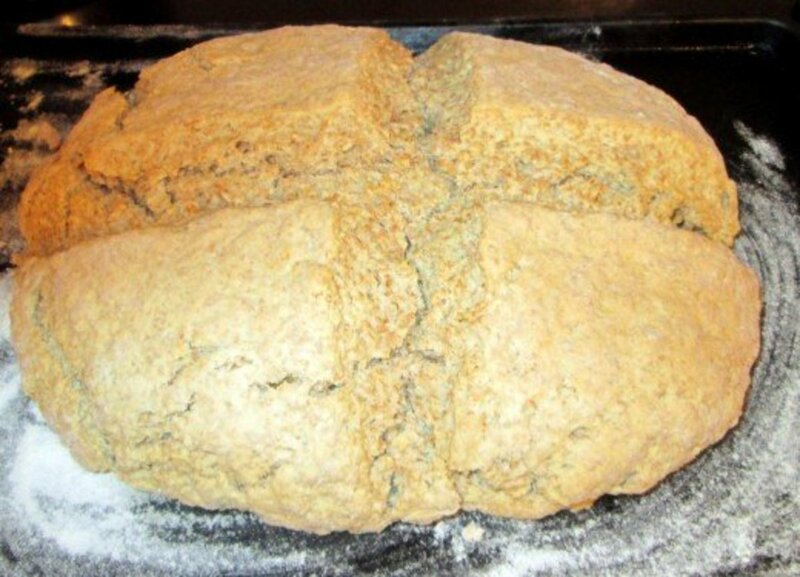 I will use about 1/3 whole wheat flour and 2/3 white flour. I also sometimes add wheat germ to increase the nutritional value. When adding wheat germ or using wheat flour, you usually have to increase the amount of milk called for to get the right consistency. Leave the baking times the same. I have found that having homemade muffins and breads available, we eat hardly any processed breakfast foods. Processes breakfast foods such as frozen waffles, Toaster Strudels, cereal, and burritos will increase your grocery bill by a lot. Cooking our breakfasts from scratch (not always in the morning, I frequently throw in muffins when I am cooking dinner) has saved us a lot of money over the years. I also have a mini muffin pan that I will use to make muffins for snacks. The kids love these bite-size ones and beg for them when they see me baking. Snacking on muffins is more filling than prepackaged snacks, and there are no additives and preservatives in them. So next time you reach for the boxed muffin mixes, look a little lower and grab the flour and sugar instead. Making your own has never been easier! How long do i bake the mini muffins and a what temperature? powered sugar or regular sugar ? Mine were AWFUL glad I didn,t waste my Blueberries on this recipe!!!!!!! You could try fruit juice instead of milk for the liquid if you want a more fruity flavor. When I make cranberry muffins I add orange juice for instance. How helpful this is. A basic recipe to which our goodies can be added is a wonderful thing to have. In my collection are many recipes but I do not have a basic recipe like this one. I am featuring it in an apple crumble muffin hub that I published a while back so others can have it to use as well. I used a half cup of cocoa powder and it turned out great! I have all these basic ingrediants in my pantry or fridge! So easy! Love it! me and my sisters made this recipe. it was really simple aned easy and lets not forget yummy!!! great recipe! thx! I need to make sure I'm fully awake before I attempt recipes like this... I used baking soda instead of baking powder... Yuck!! Well the least I can say,this is the best recipe I have ever came across. I read all ur comments,decided to try it,instead of making muffins,I made a loaf,put 2 tablespoons of vanilla abstract,and 1/2 a can of cranberry sauce,made just the perfect texture,turned out excellent! Thank u for the recipe...I am definitely keeping this 1 for my books!!! Craig, baking soda and baking powder are different. we made this recipe but added a bag of sweet chili heat chips and they ended up tasting and having a texture like a biscuit would. will write after they they r done. I got tagged to make 100-300 muffins for a high-falutin breakfast. Your recipe will let me get some good variety in there. Thanks bunches! Veronica, I would just add cocoa to the recipe to make a chocolate/chocolate chip muffin. You might have to play with the sugar amount though, I haven't ever tried that type of muffin. Let us know what you come up with! Thank you! Not only has this helped me find an easy way to make one of my favorite treats, but it also helped me with a certain scene in my story! Once again, thank you. I'm sure a certain pony would thank you too. How would I make chocolate muffins with the chocolate chips? I love your basic recipe. it. We have it at least twice a week for breakfast. And my children enjoy making it with me..
i dont have baking powder, what can i use instead? What advantage is there to using milks at all in these recipes? i.e. will water do? They are in the oven right now. Hope they turn out good. The batter was more like cookie dough is that normal. We added more milk to thin it out. Thanks so much for the recipe! I added canned pumpkin in place of the wet ingredients and a little milk cocoa and pumpkin spice just to the right consistency and they were delicious! Thanks for this recipe. The store nearest us stopped selling the brand of chocolate chip muffins we buy, and the next best choice costs twice as much. Thanks for this recipe it was GREAT!! 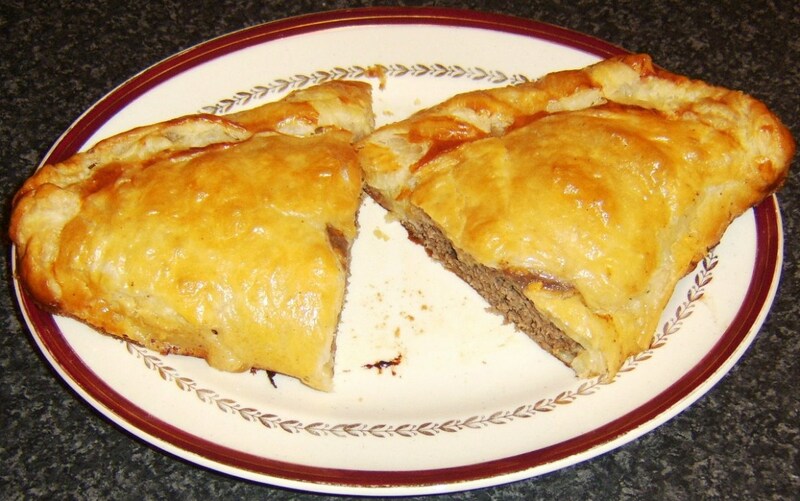 Tyhanks for the recipe, its great. So simple and easy, i love it. Wow! Thanks! I bake in large batches where I work and all they use is boxed stuff. I have been looking for a basic recipe I could use on a large scale for the many varities I make. Perfection! The students and staff are going to devour these! This recipe makes 1 dozen. 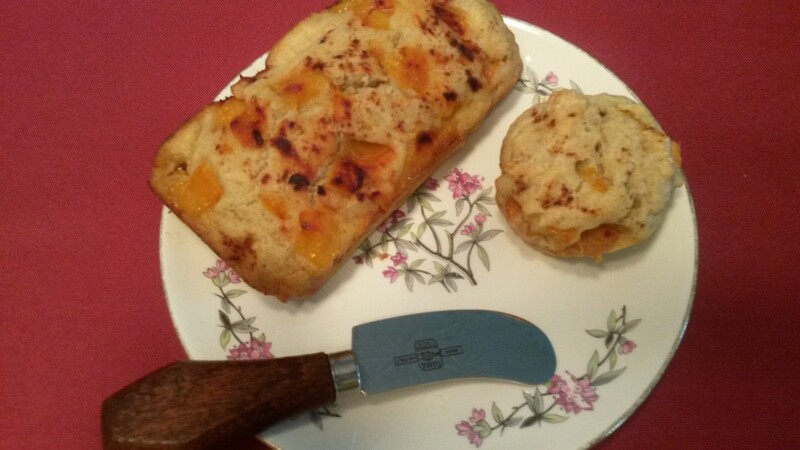 i havn't tried the recipe yet but today we used a different recipe but they were more like scones. this recipe looks great im going to try it! Wow, I was looking for a recipe for home made muffins today and I came across yours.... 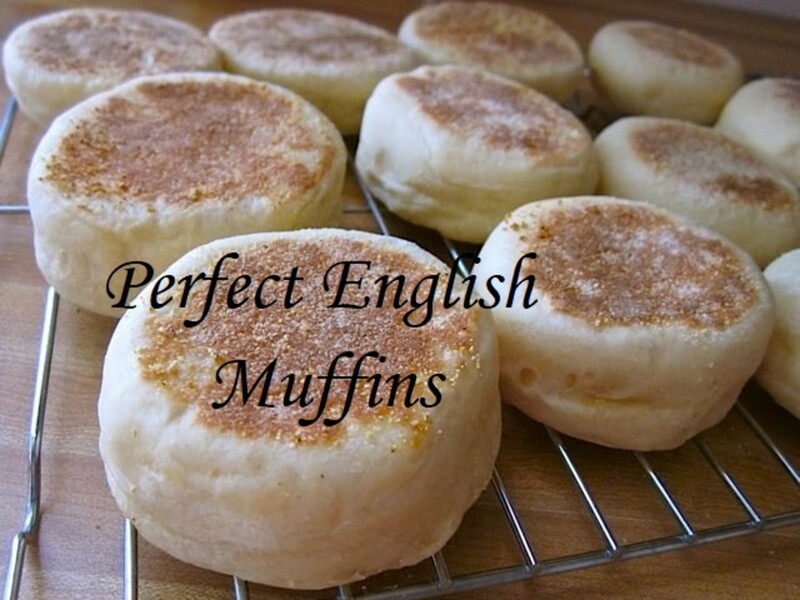 I absolutely love this basic recipe that can be made into different kinds of muffins. Muffins are a fast easy way of snacks breakfast's etc. Thank you for your time and effort. Thank you for this recipe...I was just sitting here contemplating if rice milk would work or not! Thank you again! I was wondering, if I added pumpkin, would I have to change around any of the wet ingredients to still have them turn out correctly? Or just dump the pumkin in? Thanks! I make these muffins for breakfast all the time! they are amazing! i lovet this recpie! i made a batch with cranberries, rasions, apricoits, its delish! Wow!!! thanks so much!!! made these for my mum for her birthday and she loves them! thanks!!!!!!!!!!! WOW! All Ican say right now is THANK YOU!!! I have been searching what seems for hours for a cinnamon raisin muffin reciepe and everything i came across was so complicated...You've saved me!! Thanks! My 10 month old won't eat her baby food, I added two jars to this recipe and she loved it. Even my school age kids ate it and liked it. They have no idea baby food was added. Thanks it was super easy! I was searching for a basic recipe for muffins and found out one here... Thank u so much for sharing this. cinnamon and raisin, and for the last batch, I used applesauce instead of oil, 1/3 cup honey instead of sugar. I tried the chocolate chip, it is so great tasting. hi i haven't try your receipe as yet but it seem very simple and i will make it from scratch cuse that my idea thank you . I just made the muffins with chocolate chips. What a delicious recipe! Thanks. I'm trying this recipe this afternoon, adding vegetables for the kids.... fingers crossed and I'll let you know how they go! Sarah, those sound delicious! Will have to try that variation. I added a jar of cherries and roughly chopped dark chocolate. I was a bit worried because the mix seemed so thick...I thought it would be dry... But they turned out great! I made them for morning tea for work, but don't want to share them now! This recipe does not disappoint. Last week I made them with frozen wild blackberries we picked last summer, today subbed 1/2 cup of whole wheat flour and added craisins and cinnamon and nutmeg. Have also made them with choco chips. Thanks for the easy yummy recipe!! just made a 2x batch of this recipe, threw in mixed berries. came out professional. I made these this morning for my kids and their friends they had over. I used 2/3c whole wheat flour and 1 1/3c white flour and just a bit more milk and they were perfect. Of course they wanted to add the chocolate chips, so that's what we did. Thanks so much for sharing the recipe! They were very delicious and came out perfect. I'm looking after a friend's 2 boys this week and decided to have a baking afternoon - found your recipe for muffins (I've never made muffins before) and it was so easy to follow. 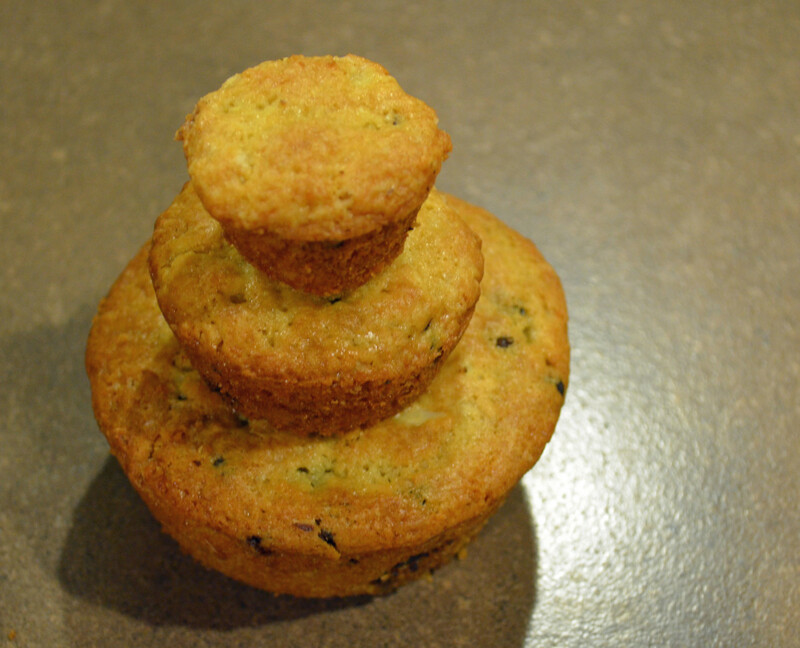 The muffins look and taste fantastic and I cant wait to try different variations. Thanks for posting, I will be trying your recipe this weekend. Any experience with replacing the white sugar with honey? just made and used walnuts and cranberries in mini muffin pan. they are decent. my next batch today will be blueberry, almond extract,with a tad lemon juice. i will freeze and put in kids lunches. @Morgan.... Well for 2 years people have been making this recipe and commenting, and since you are only one of a very select few that said this was a disaster recipe, maybe the problem is you, your baking skills, or your ingredients. But one thing is for sure, your manners need adjusting. How rude of you to say even your dog wouldn't touch it. You could have handled it with more grace than that. BTW Mine turned out amazing!! @ Jen-THANK YOU!! my hamster loves the muffins. Thank you! 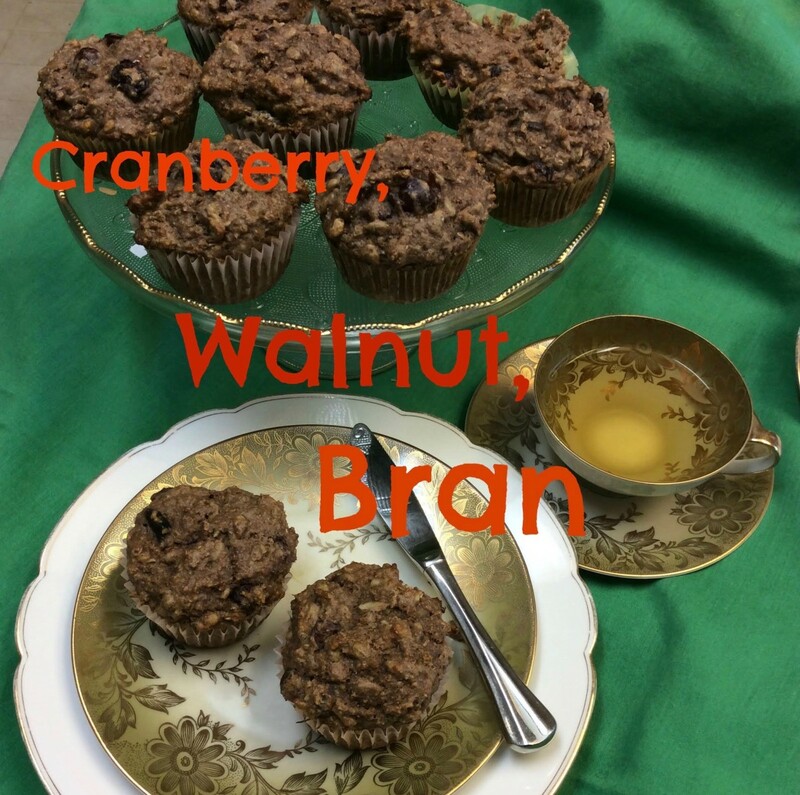 I made these muffins with A LOT of substitutes. I used spelt flour, used apple butter instead of sugar, soymilk, an egg replacer, and I used olive/canola oil. I also added in lemon juice, blueberries, and crushed almonds. Even with all of the substitutions the recipe came out great!!! Great hub! Thanks for sharing the recipe. I have them in the oven right now! Hey! I wanna know if i can use the pan for making cupcakes to make these too? Also is there any way I use only the egg whites and not the yolk? My mom can't have the yolk. How many eggs will I then need?